We cause a lot of damage to our own hair. I know that I personally blow dry, heat style, tie-up in messy buns, and over brush my knotty, dry hair constantly so anything that will help moisturise and strengthen my hair is great for me. 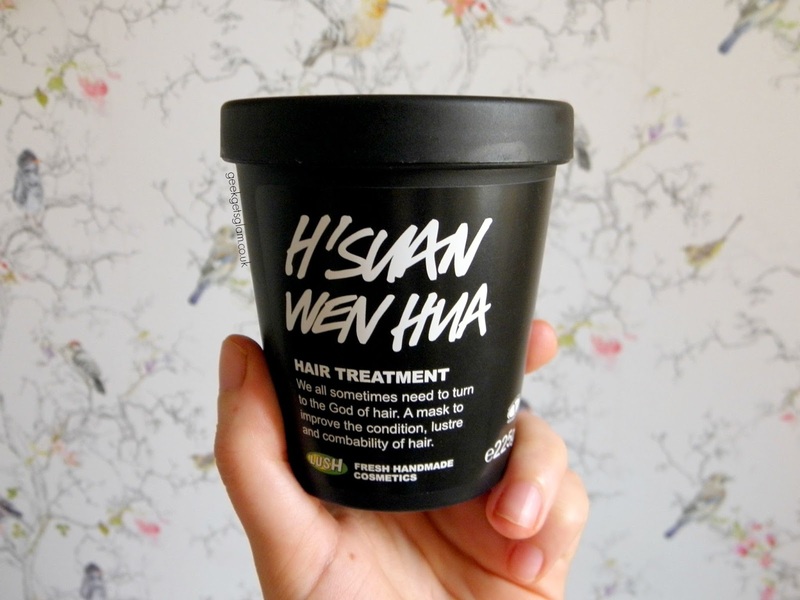 H'Suan Wen Hua hair moisturiser from LUSH promises to do just that; nourish, strengthen and restore the hair. 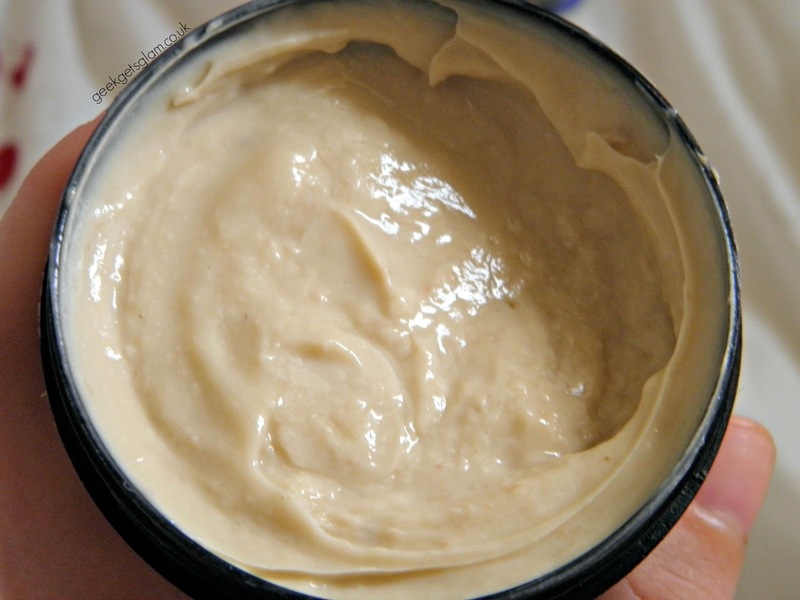 H'Suan Wen Hua is a light hair moisturiser that you use like a hair mask. Apply it with you hands, leave for 20 minutes then shampoo and condition as normal. Lush suggest using a generous amount so I slapped half the pot of product on my hair so it was saturated with the stuff. It's really easy to apply to your hair and is thick but lightweight so it stays in your hair and you don't drip hair mask everywhere (although I'd advise using a towel around your shoulders anyway). What makes H'Suan Wen Hua work? It's full of free range eggs which sounds gross but eggs have lots of protein in which is great for hair restoration and strengthening. It also has banana and avocado because both of these are oil rich so are quite nourishing for your hair. Overall, this mask is just a good all-round treat for anyones hair. After I left my mask on for 25 minutes, I went and washed it out. It washed out really easily despite it being quite oily. My hair afterwards felt much and more manageable. I was getting ready to go to a wedding when I used this and my hair looks noticeable more shiny in pictures too and it just looks like you could touch it as it looks so soft and bouncy (which it was!). My scalp was much less dry too which was good because I have such a sensitive and dry scalp! Despite this, I wasn't all that blown away by this mask. It did make a difference but my hair is so damaged from heat and chemicals that I think this is a mask that I'd have to keep using every four weeks to maintain the effects. H'Suan Wen Hua is lovely product for making your hair softer and moisturised but one you may have to use a few times if you have super damaged hair like mine.